Marc Frons, former chief information officer with The New York Times, introduced on US News and World Report some of the most common and dumbest mistakes people make during a car leasing process. When you discuss a car lease with the dealer, what the salesman mainly focuses on is the monthly payment. However, what you really have to focus on is the purchase price (gross capitalized cost). Even if it is a lease instead of a purchase, you have to negotiate the purchase price because as your purchase price decreases, the monthly payment you will make also becomes lower. For example, the beginning price of 2016 Honda Accord is $22,205, and if you negotiate the price $2,000 less, your monthly payment will become $50 lower. You should not go with exactly what it says on the ad. Be sure to know that negotiation is also possible with leasing. Other than the purchase price, you might also be able to lower or get rid of fees including dealer fee. If you deal at only one place, you can never know if it is the best deal available for the car. You have to make sure to visit multiple dealers and compare the prices. When comparing a variety of requirements, be sure to look at the whole lease price. To do that, multiply the amount of the monthly payment by your leasing duration, and add tax and fees. After that, subtract others including down payment, rebate, and trade-in price. Then, select the lowest price among the deals. You have to make sure to request the salesman a list of fees. Check the details of the list including deposition fee or purchase option fee. These fees are not always officially regulated by the law. You may be able to save $500 to $1,000. If a down payment is over $2,000, it is considered to be too high. Paying a high amount of down payment to pay less monthly payments is not a good strategy because leasing companies usually don’t give you credit for the down payment you have already paid. If a car is handled as a total loss, insurance companies compensate to leasing companies. However, it is highly possible that they won’t cover your down payment. It can be problematic if gap insurance is not included in your lease. For example, if your car is processed as a total loss and the current value of your car is lower than what you have paid for it, the insurance company may provide less money than what you owe. In that case, you will have to pay for the rest. However, if you have gap insurance, you don’t have to worry about paying such money. It is true that down and monthly payments of leasing is cheaper than buying a car. However, in the long term, it may not be true. 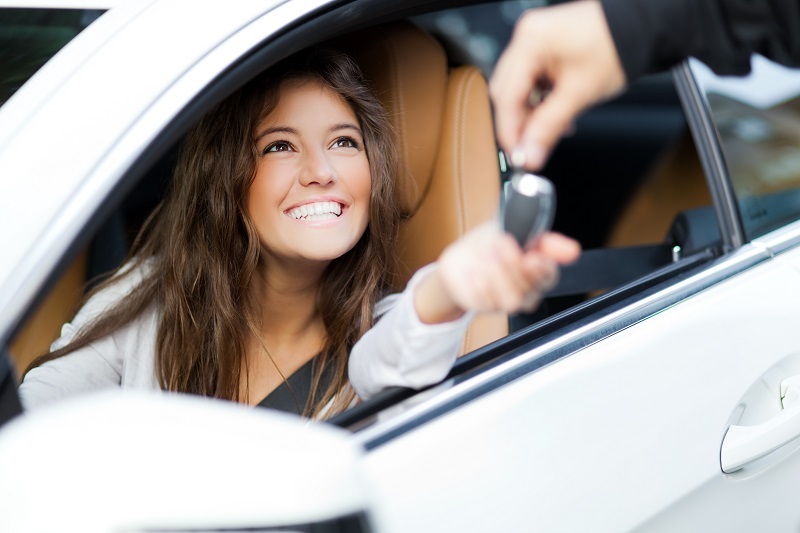 If you lease a car, you have continue paying monthly payments every month. However, if you buy a car, you won’t have to pay such payments after a few months. In conclusion, you can’t be easily tempted by leasing a car. You have to compare multiple scenarios and find the best solution for you.